While spending the first few months of my maternity leave at my families cottage, I wanted to do as many DIY’s as I could possibly cram in. My favourite so far has been this shutter that was going to be tossed in the burn pile but I managed to snag it and spiff it on up. This entire project was actually done 100% using items found at the cottage. 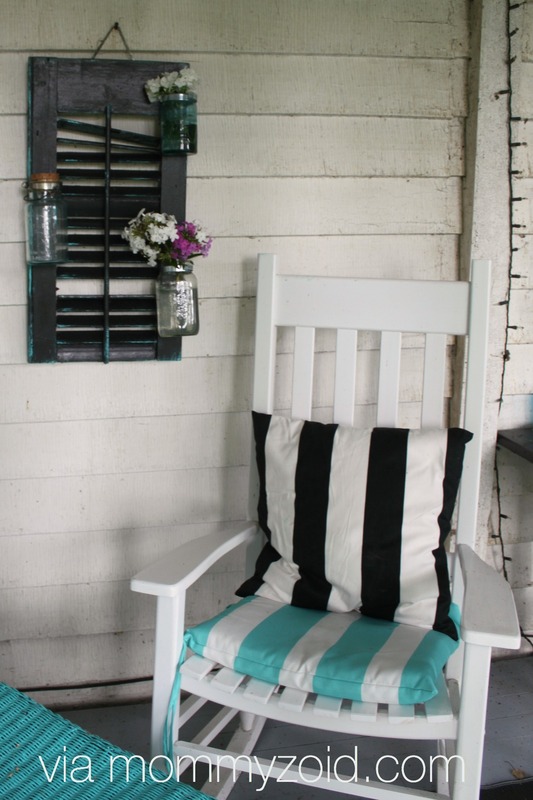 I love this project because it was free, I recycled and reclaimed, and it looks just so darn cute on the front porch. It’s a fantastic way to jazz up a wall with a punch of colour. First I took my shutter and gave it a nice coat of flat black paint and let it dry thouroughly. 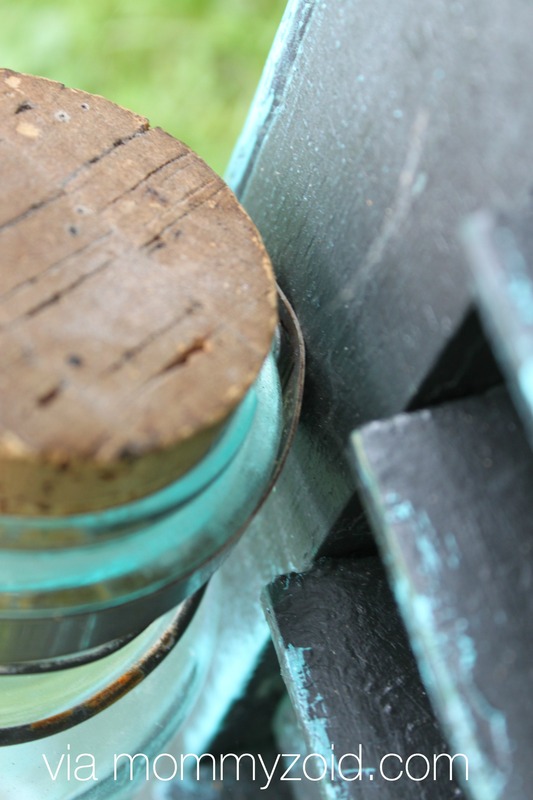 Then I took my turquoise paint and just feathered the edges to give it a worn effect. I set the shutter aside to dry completely. You could take a light grit sand paper and rough up the edges a bit or leave it as it is. 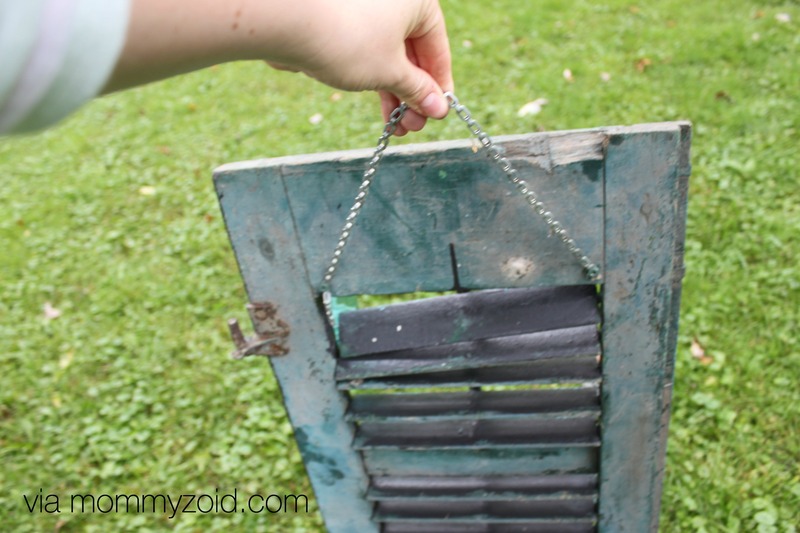 On the back of your shutter you’ll want to put a hanging mechanism of some sort. I opted for some chain and screwed it in on either side at the top of the shutter. Chain is a great option for hanging something of this weight. 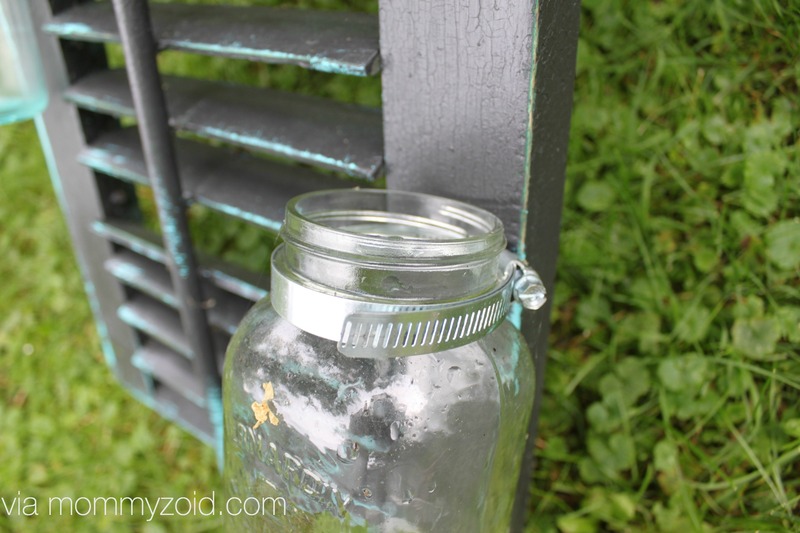 Next I decided where I wanted to place the mason jars on the front of the shutter. I took my jubilee clamps and my screws and got right to screwing these puppies right where I wanted to. This part can be tricky so you might want a hand from an assistant to steady the jubilee clamp while you drill. 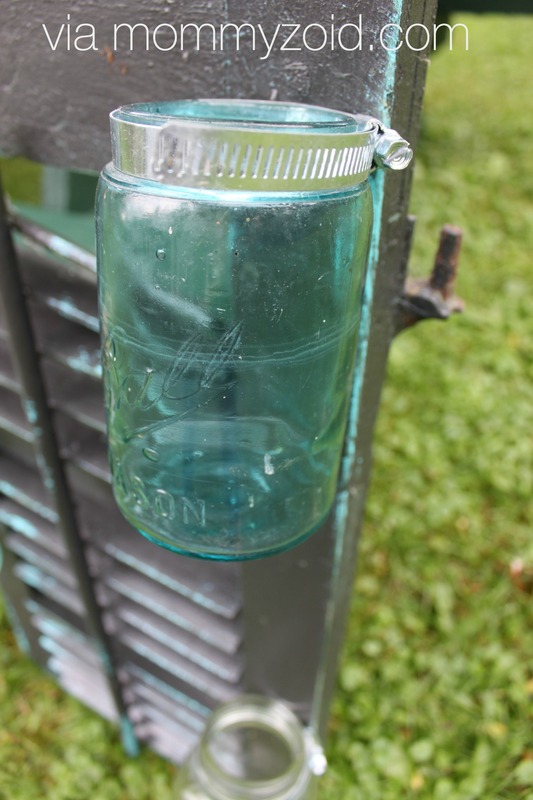 Slide the mason jar into the jubilee clamp and tighten the clamp tight enough that the mason jar doesn’t fall out when its hanging on the wall. 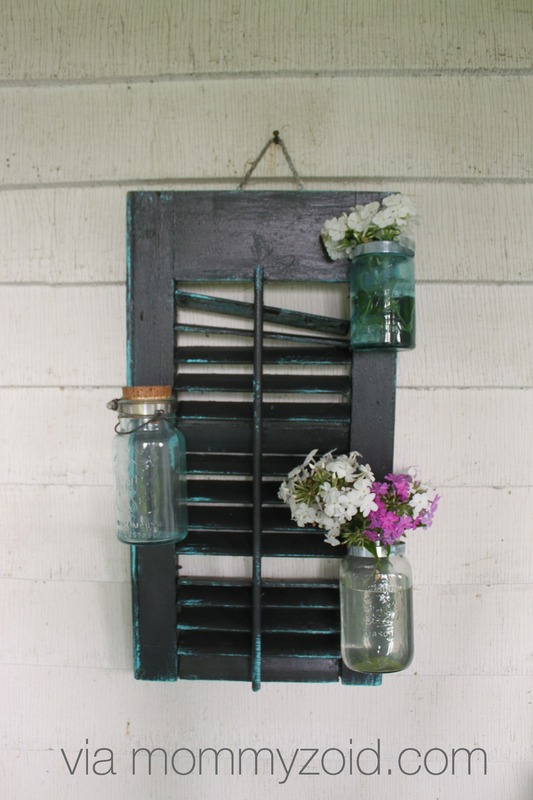 Hang up on a hook, fill with water and some fresh cut flowers, and enjoy your repurposed shutter! Is this something you’d want to try? 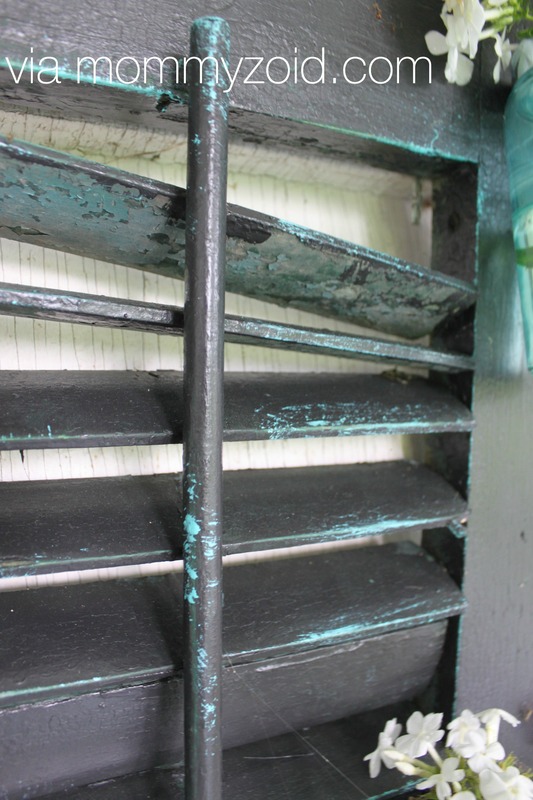 What colour would you paint your shutter? I’m sharing this post on these blogs! Take a peek and see what’s happening in blogland!! and while you’re at it, follow along with me on social media to get a heads up on my next projects.